Intuitively, a foliation corresponds to a decomposition of a manifold into a union of connected, disjoint submanifolds of the same dimension, called leaves, which pile up locally like pages of a book. 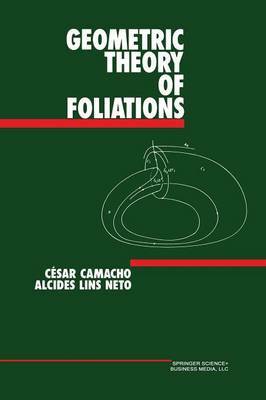 The theory of foliations, as it is known, began with the work of C. Ehresmann and G. Reeb, in the 1940's; however, as Reeb has himself observed, already in the last century P. Painleve saw the necessity of creating a geometric theory (of foliations) in order to better understand the problems in the study of solutions of holomorphic differential equations in the complex field. The development of the theory of foliations was however provoked by the following question about the topology of manifolds proposed by H. Hopf in the 3 1930's: "Does there exist on the Euclidean sphere S a completely integrable vector field, that is, a field X such that X* curl X * 0?" By Frobenius' theorem, this question is equivalent to the following: "Does there exist on the 3 sphere S a two-dimensional foliation?" This question was answered affirmatively by Reeb in his thesis, where he 3 presents an example of a foliation of S with the following characteristics: There exists one compact leaf homeomorphic to the two-dimensional torus, while the other leaves are homeomorphic to two-dimensional planes which accu- mulate asymptotically on the compact leaf. Further, the foliation is C"".